Exclusive to SEWF delegate and other invited guests. Ever wondered how to unleash the existing and potential entrepreneurial energy in your community? Quality coworking spaces do just that! 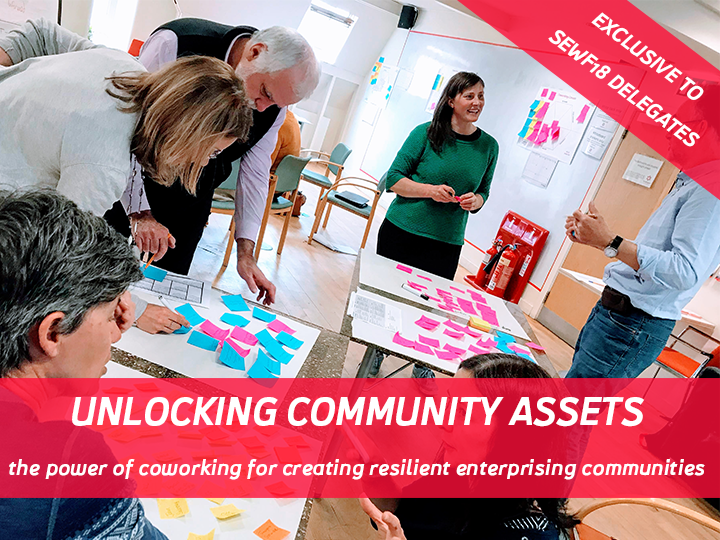 If you’re a local or strategic place-maker interested in learning how to create an affordable, quality coworking space to unlock your community’s assets, join us. Hear from Scotland’s pioneering place-makers and international coworking leaders and take part in an interactive workshop session, exploring coworking at a local, national and international level. Includes a networking lunch. Check out our other Social Enterprise World Forum events on The Melting Pot website.